Nuacht Eile / Other News: Comhghairdeas Ellie ! / Congratulations Ellie ! 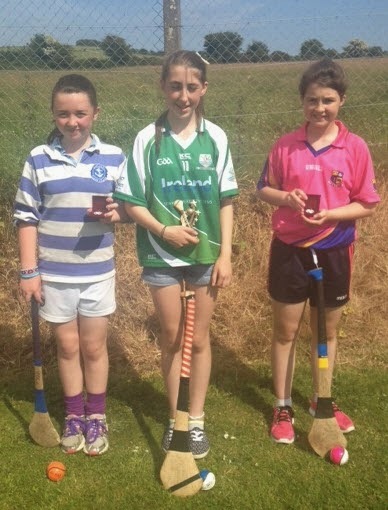 Well done to Ellie, Rang 5, who came third in the Sciath na Scol Carraigdhoun Poc Fada in Riverstick yesterday (18th June 2014) where lots of schools in the division took part! She was up against Rang 6 competitors so it was a super achievement.